The all-new 2012 Volkswagen Passat built in Chattanooga, Tennessee, has a starting MSRP of $20,765 (including $770 destination charge) for the 170 horsepower 2.5L model with manual transmission and is available in eight equipment levels. It comes standard with automatic dual-zone climate control, Bluetooth connectivity, steering wheel audio controls and Volkswagen's no-charge three-year/36,000 mile scheduled Carefree Maintenance Program. The up-level SE model starts at $24,495 and the 2.0L TDI® Clean Diesel model offers three trim levels starting at $26,765 with an expected 43 mpg highway and a range of nearly 800 miles. The 280 horsepower 3.6L VR6 is offered in three trim levels with a starting MSRP of $29,765. The all-new midsize Passat sedan is 191.7 inches long and has a 110.4 inch wheelbase. 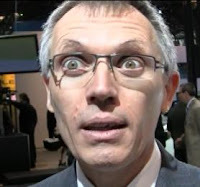 Carlos Tavares has been appointed as Chief Operating Officer for Renault from his post as head of Nissan Americas. Carlos Tavares will gradually assume his responsibilities and will have fully assumed his responsibilities by July 1, 2011. Carlos Tavares is a graduate of Ecole Centrale de Paris. He has spent most of his working life with Renault, where he held a wide range of posts in France, in the Engineering and Programmes division. He joined Nissan in 2004 as Programme Director and then as Vice President, Product Strategy and Product Planning. In 2005 he was appointed Executive Vice President at Nissan, joining the Board of Directors. 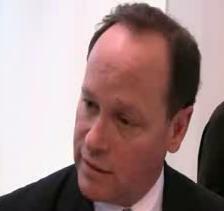 In 2009 he assumed responsibility for operations at Nissan Americas. Colin Dodge, currently Executive Vice President and Chief Performance Officer for Nissan globally and Chairman of the AMIE region (comprising Africa, Middle East, India and Europe) will take on the additional responsibility as Chairman of the Americas region (comprising North, Central and South America). This change is effective June 13. In his role as Chairman of the Americas, Colin is succeeding Carlos Tavares. Bill Krueger becomes vice chairman, Nissan Americas, effective June 13. In this newly formed role Krueger will be Nissan Americas' highest-ranking resident executive and will work closely with Colin Dodge, chairman, Management Committee-Americas. In his new role, Krueger will report to Dodge and be responsible for the day-to-day operations of Nissan Americas' business in the U.S., Canada, Mexico, Brazil and 37 other Latin American and Caribbean countries. Doug Speck will take on the role as acting Senior Vice President for Marketing, Sales & Customer Service at Volvo Car Corporation. He succeeds Gerry Keaney who has decided to leave Volvo Car Corporation after more than twenty years. 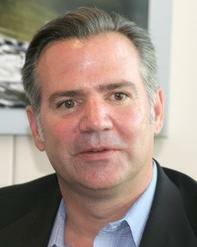 Doug Speck presently holds the position as President of Volvo Cars of North America. He has thirty years of experience from the automotive business, with key positions within Ford Motor Company, Jaguar and Premier Automotive Group. "Doug Speck will play a very important role for Volvo Car Corporation´s ability to achieve its ambitious growth plan and for the redefinement of the Volvo brand", says Stefan Jacoby, President & CEO of Volvo Car Corporation. "We will undertake a global review of the entire marketing and sales organisation and Doug Speck will play a major role in this very important work, adds Stefan Jacoby". "Gerry Keaney has, since he took the role as head of Marketing Sales & Customer Service in 2003, led the global team in a very professional way through difficult times and I wish him all the best in his future career, says Stefan Jacoby". Doug Speck will take up his new role at Volvo Car Corporation on 1 June. "I am excited to take on this challenge at a time when Volvo Car Corporation enters a very important growth period in its history", says Doug Speck. The successor of Doug Speck at Volvo Cars of North America will be subject to a separate announcement shortly. The refreshed Hyundai 2012 Genesis sports sedan, starts at $35,050 for a well-equipped 333-horsepower 3.8 liter V6, $45,350 for the 385-horsepower 4.6 liter DOHC V8 and $47,350 for the new 429-horsepower 5.0 R-Spec model (all include $850 delivery charge). All Genesis models are now coupled with a new in-house eight-speed transmission and are on sale now. The 2012 Genesis is highlighted by exterior design improvements, new direct injection technology for its Lambda V6 engine, new eight-speed automatic transmission, and enhanced chassis tuning. In addition, a new 5.0-liter direct injection V8 engine is now available exclusively with the 5.0 R-Spec model. Fuel economy is estimated at 16 mpg city and 25 mpg highway, nearly matching the 4.6-liter V8 (17 mpg city/26 mpg highway). 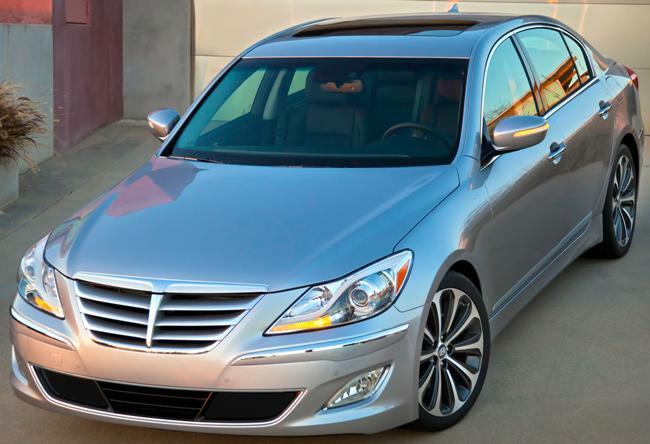 Hyundai Genesis sales in 2011 through April are 9,536, up 21.6 percent compared to the first 4 months of 2010. The value-priced Genesis is on the shopping list for those looking at luxury sedans with much higher price tags. Toyota Friend will be a private social network that connects Toyota customers with their cars, their dealership, and with Toyota. Friend, powered by Salesforce.com's Chatter, will be first offered in Japan, initially with Toyota's electric vehicles (EV) and plug-in hybrid vehicles (PHV) due in 2012. For example, if an EV or PHV is running low on battery power, Toyota Friend would notify the driver to re-charge in the form of a "tweet"-like alert. In addition, while Toyota Friend will be a private social network, customers can choose to extend their communication to family, friends, and others through public social networks such as Twitter and Facebook. The service will also be accessible through smart phones, tablet PCs, and other advanced mobile devices. So far TMC has developed its own telematics services to connect people, cars and their surroundings and through Toyota Friend, TMC aims to offer its telematics services worldwide. Moving forward, TMC plans to advance toward the realization of future mobility by teaming up proactively with global IT companies. Although TMC and salesforce.com will launch their partnership with the building of Toyota Friend, in the future the companies plan to develop cloud services for TMC's open platform and create new business opportunities leveraging their respective strengths. Salesforce.com and TMC will each make investments in Toyota Media Service Co. (TMS), which oversees TMC's global cloud platform development. Salesforce.com will invest 223 million yen and TMC will invest 442 million yen. Microsoft Corporation, which on April 6 announced a strategic partnership with TMC to build a global platform for next generation telematics services, will invest 350 million yen. AutoPacific announced its 15th annual Vehicle Satisfaction Awards last week based on over 68,000 new vehicle owners with the winners performing well in 48 separate categories that objectively measure the ownership experience. At the manufacturer level, multiple top-ranked award winners are: Ford with seven wins; Toyota with four wins; and General Motors and Hyundai with three wins. 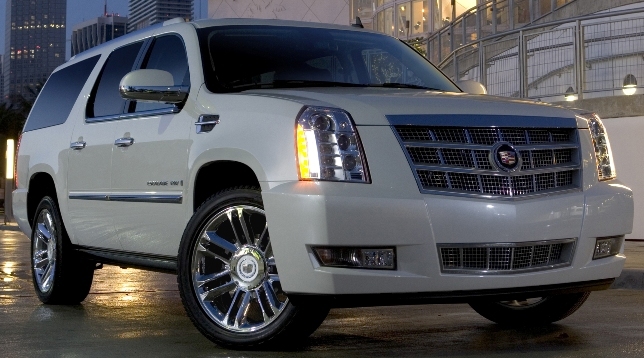 The vehicle - car or truck - registering highest overall satisfaction in 2011 is the Cadillac Escalade Luxury SUV. The car with the highest overall satisfaction score is the Mercedes-Benz S-Class. 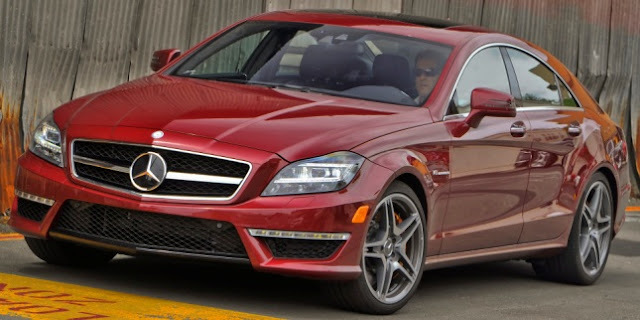 The 2012 all-new CLS-Class four-door coupe comes in three models, all powered by new biturbo direct-injection V8 engines and, for the first time, offers 4MATIC all-wheel-drive. The CLS550 with a new 402 horsepower 4.6-liter direct-injection twin-turbo V8 gettig an estimated 18 city / 26 hwy starts at $72,175 including the $875 delievery charge. The CLS550 4MATIC starts at $74,675 and the high-performance CLS63 AMG (pictured above) which starts at $95,775 has a 518 horsepower 5.5-liter version of the new direct-injection V8 engine and there's an optional AMG Performance Package increasing output to 550 horsepower. The 2012 Mercedes-Benz CLS is about 1.2 inches longer and wider than its predecessor and fits between the S-Class-based CL and the E-Class two-door. The Mercedes-Benz Concept A-Class is front-wheel drive with a new 2.0-liter turbocharged 210 horsepower four-cylinder gasoline engine mated to a dual clutch transmission and also has radar-based collision warning system with adaptive Brake Assist. 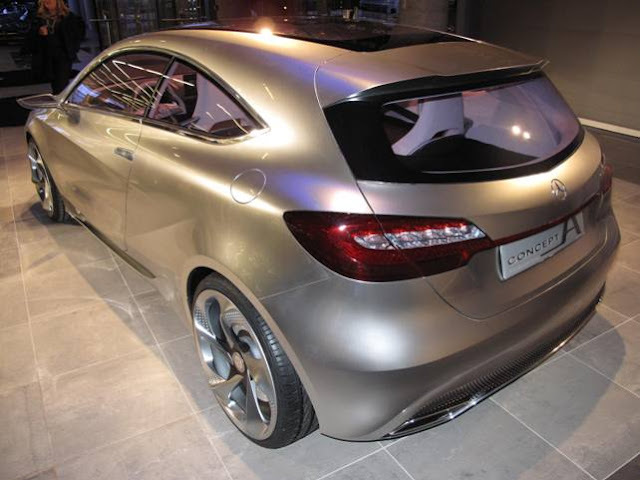 A smartphone is fully integrated into the infotainment systems of the Concept A-Class. When the phone is inserted into the recess provided in the center console, it is automatically synchronized with the COMAND multimedia system and all the functions of the smartphone, including internet radio, email and social networks such as Twitter or Facebook, are shown as applications on the 7-inch display and operated by the rotary/push control. With U.S. gas prices soaring again, small fuel efficient cars are in focus again so this concept may become reality very soon to satisfy luxury-hungry, gas-conscience urban drivers. The 2011 Kia Optima Hybrid, Kia's first hybrid in the U.S., will have a starting price of $26,500 (excluding delivery charges) with an available Hybrid Premium Technology Package for another $5,000, when it hits showrooms in June. The Kia-developed powertrain uses advanced lithium polymer batteries from LG Chem, to deliver up to 35 miles per gallon in city driving and 40 miles per gallon on the highway. The 2011 Optima Hybrid uses a full parallel hybrid system and can be driven in zero emission, full-electric drive mode at speeds up to 62 miles per hour or in blended gas-electric mode at any speed. When the car comes to a stop and the electrical load is low, the engine shuts off to completely eliminate idle fuel consumption and emissions. The Virtual Engine Sound System (VESS), standard on the Optima Hybrid, plays a pre-recorded engine sound during electric-only operation to help notify people outside the vehicle that it is approaching. The Optima Hybrid is the first Kia vehicle to offer the company's proprietary UVO powered by Microsoft® hands-free, voice-activated infotainment and communications system which is paired with the AM/FM/CD/MP3/Sat audio system and features a rear-view camera, SIRIUS® Satellite Radio capabilities with three months complimentary service, auxiliary and USB audio input jacks for connecting with MP3 players and Bluetooth wireless technology connectivity with steering wheel-mounted controls. It's a lot of car for the money with impressive zero to 60 acceleration and many luxury car features. Tim Colbeck becomes president and chief operating officer of Saab Cars North America today as Saab is going through a re-birth, re-financing and is in the midst of launching the all-new Saab 9-5 Sedan, Saab's first crossover- the 9-4X, the 9-5 SportCombi and the 9-3 Griffin range. Colbeck will report directly to Saab Automobile AB vice president and head of global sales & aftersales, Matthias Seidl and the Saab Cars North America Board of Directors. Colbeck joins Saab from his post of senior vice president sales at Subaru of America leading record sales and market share in the last two years and making Subaru the only brand to achieve sales increases in each of the last three years in The U.S. During his career at Subaru, Tim has been in various executive roles, with experience in sales, ebusiness, finance and fixed operations. An opportunity to take control of a company that had a brush with extinction from a company that has had recent unmatched sales success is a gutsy move Tim, but no doubt a huge new challenge, that if successful, will put you in very high regard in the entire industry - good luck! Porsche introduces the new monochromatic limited edition 2012 Cayman S Black Edition arriving late this summer with a 3.4-liter six-cylinder engine with direct fuel injection, mounted in front of the rear axle, producing 330 horsepower, 10 more than the Cayman S with an MSRP of $67,500. With PDK, the Cayman S Black Edition will accelerate from 0 to 60 mph in as little as 4.6 seconds with the optional Sport Chrono Package and reaches a top track speed of 172 mph while achieving EPA estimated fuel economy of 20 city and 29 highway (19/26 when equipped with six-speed manual and top track speed of 173 mph), the same as the Cayman S.
Jaguar confirms that it will launch the C-X75 concept car as an exclusive hybrid supercar with a carbon-fiber chassis that is expected to deliver CO2 emissions of less than 99g/km while being able to achieve in excess of 200mph. The Jaguar C-X75, seen last November at the Los Angeles Auto Show, will be developed in association with Williams F1 who will provide their engineering expertise in areas including aerodynamics, carbon composite manufacture and hybrid technologies. Only 250 examples will be built, each costing between 700,000 - 900,000 British pounds depending on market and local taxes. That converts to about $1.1 million - $1.5 million U.S. dollars. General Motors dealers in the United States reported 232,538 total sales in April, a 27-percent increase versus April a year ago. Year-to-date GM sales are 825,083, up 24.8 percent from the first four months of 2010. Ford Motor Company April sales were 189,778, up 16 percent. Year-to-date, Ford total sales were 686,498, up 16 percent. Toyota Motor Sales, U.S.A. reported April sales results of 159,540 units, up 1.3 percent over the year-ago month. The Toyota Division posted April total sales of 141,964 units, up 2.1 percent over the year-ago month. The Lexus Division reported total sales of 17,576 units, down 4.3 percent from last April. All sales on a raw not adjusted basis. American Honda Motor posted April sales of 124,799, an increase of 5.7 percent based on the daily selling rate compared to April 2010 results of 113,697. American Honda year-to-date sales of 432,777 is an increase of 14.6 percent based on the daily selling rate. Chrysler Group LLC reported U.S. sales of 117,225, a 22 percent increase compared with sales in April 2010 (95,703 units), and the best April sales since 2008. Year-to-date sales are at 404,175, a 23 percent increase from 2010. Nissan North America reported April U.S. sales of 71,526, an increase of 12.2 percent. For 2011, NNA sales have increased 22.2 percent to 356,884 units. Nissan Division deliveries are up 23.4 percent to 322,287 and Infiniti sales have increased 11.9 percent to 34,597 units. Hyundai Motor America today announced all-time record April sales of 61,754 units, up 40 percent compared with the same record-breaking period last year. For the year, total sales are up 31 percent, with retail volume rising 40 percent. Kia Motors America announced all-time record monthly sales of 47,074, a 56.7-percent increase from April 2010, and a 6.6-percent increase over the previous record set last month. Volkswagen of America reported sales of 28,542 April 2011, a 23 percent increase over prior year sales and the company's best sales month since November 2003. Year-to-date sales are up 17 percent. Audi April U.S. sales of 10,018 was a 7.5 percent rise. The BMW Group in the U.S. (BMW and MINI combined) reported April sales of 25,247 vehicles, an increase of 19.6 percent from the same month a year ago. Year-to-date, BMW Group is up 18 percent on sales of 90,204 in the first four months of 2011 compared to the same period in 2010. Subaru of America reported April sales of 24,762, a gain of 6.7 percent from April 2010 and year-to-date Subaru has sold 92,219, a 14.3 percent rise. Mercedes-Benz USA reported April sales of 19,157 vehicles, a 5.1 percent improvement over April 2010, and the best April on record since April 2008. On a year-to-date basis, the 75,152 vehicles sold represent a 9.2 percent increase. Mitsubishi Motors North America reported April 2011 sales of 8,081, an increase of 106 percent compared to April 2010. It was Mitsubishi's largest month of sales in two-and-a-half years (August 2008) and the eighth consecutive month that the company has achieved a year-over-year sales increase. Year-to-date sales are up 60.9 percent. Jaguar Land Rover North America April U.S. sales for both brands totalled 4,231, up 16 percent from April 2010. Land Rover sales were 2,982, up 8 percent from April 2010 and Jaguar sales at 1,249, up 39 percent from April 2010. For 2011, year-to-date, Jaguar Land Rover North America sales are up 18 percent to 14,999 units, with year-to-date increases from both Jaguar and Land Rover brands. Porsche Cars North America announced April sales in the U.S. of 3,172 vehicles compared to the same period last year, an increase of 82 percent. American Suzuki sales in April were 2,132, a 9 percent gain over last year and year-to-date sales are 8,834, a 16 percent rise. Page will be updated as manufacturers report.